WE USE A HIGH QUALITY, PROFESSIONAL, DSLR CAMERA IN OUR OPEN AIR BOOTHS TO GIVE YOU A BRILLIANTLY STUNNING PHOTO THAT IS SURE TO IMPRESS YOUR GUESTS! YOUR GUESTS WILL HAVE MORE FUN AT YOUR EVENT THAN ANY OTHER THEY WILL ATTEND ALL YEAR. THE ENTERTAINMENT IN THE PHOTO BOOTH LASTS ALL NIGHT LONG! WHAT BETTER WAY TO CREATE LONG LASTING MEMORIES THAT YOU AND YOUR GUESTS WILL CHERISH FOREVER. THEY'LL BE TALKING ABOUT YOUR EVENT LONG AFTER IT'S OVER. Whether you need to increase your brand's presence on social media or just provide a fun, exciting atmosphere that gets your guests talking about your event, we're here to help make it happen! Planning a Quinceañera, Bar/Bat Mitzvah, or a Sweet 16? There's no better way to capture amazing moments than with a photo booth. The photographer is paid to capture photos of the Bride and Groom, someone needs to get photos of the guests. 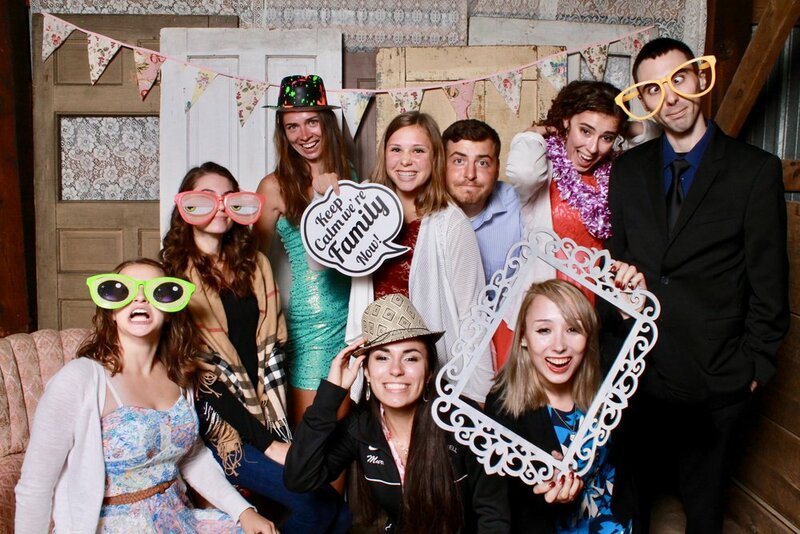 Photo Booths are a great way to create lasting memories, entertain wedding guests, and have people talking about your event long after it's over.